All right, so I know it looks like I have something against the Green Lanterns. 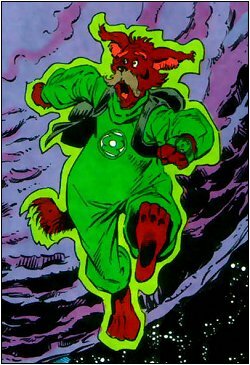 First, I write the list of my favorite costumes in comics, putting Green Lantern firmly as the guy who doesn't make the cut. Then I write about my problem with mainstream comics, citing big events as the big reason. 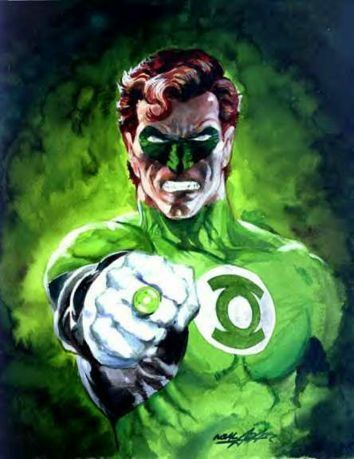 Of course, the leader in big events for the past few years has been the Green Lantern franchise. Then I actually go on one long rant about how Hal Jordan isn't as historically important as he's made out to be. And then that's followed by building up a JLA/AVENGERS dream team, where Green Lantern is once again left off the list. So yes, I get it. It looks like I hate the Lanterns. But that's not true. I love the Green Lantern Corps. And to make up for all the times I left them off these lists, I've devoted a whole list to them. You can't have this list without Mogo! He's a planet, who happens to have a Green Lantern ring somewhere on him. Created as a surprise twist ending by Alan Moore and Dave Gibbons (yes, that team) for a short story, Mogo's since taken off, and writers now love using him. None of which changes the fact that he's a living PLANET. As a side note, Mogo's name may be based off of Ego, Marvel's living planet. John Stewart's place on this list is tamped down by the fact that before he got famous on the Justice League cartoons , I'd read very few stories with him in it (CRISIS ON INFINITE EARTHS is one). But he was a great character on that show and should definitely be used more in the regular DC Comics. 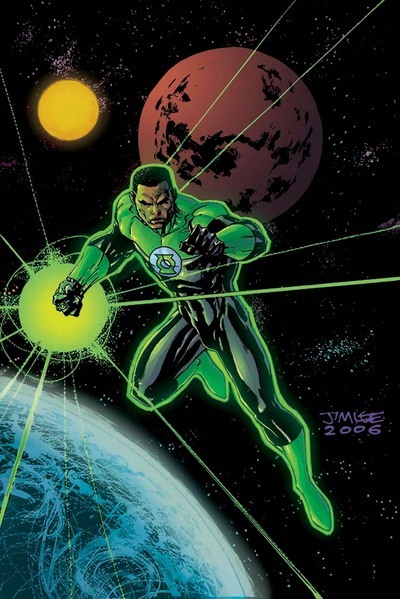 He's also, arguably, the most important Green Lantern, in terms of history, what with him being one of the first prominent black superheroes. I also can't think of him now without thinking of Dwayne McDuffie, a man who should always be remembered. Silly stuff is one of the reasons to love comics. I love silly stuff. And when you can make the silly stuff truly touching, it's more powerful. Medphyll is a sentient plant. From a world of other sentient plants. He's run into the Swamp Thing in Alan Moore and Rick Veitch's SWAMP THING #61, because he is a plant. That story was one of the most touching stories in comics history. I would bet that the big poozer is on most people's lists of favorite Green Lanterns. And why not? He's big, lovable, is a handy mechanic, and is a certified badass. He's like the Thing, only cosmically powered. Remember what I said about silliness? Well, in more than a handful of stories, G'Nort Esplanade G'neesmacher has provided us with a lot of silliness. He's a great reason to love comics. He's a dog with a power ring! He's also a former member of the Justice League Antarctica! Gotta love it. Seriously, I shouldn't even have to explain this one. 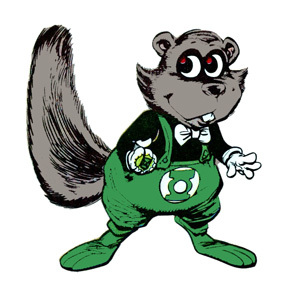 If you can't grasp the sheer awesomeness and joy that a squirrel/chipmunk hybrid in overalls and a bowtie wearing a Green Lantern ring conveys, you're in the wrong medium. What do you do if you have to give a Green Lantern ring to someone who has no concept of light or color? Well, if you're Katma Tui, you give Rot Lop Fan the ring, then have him imagine it to be a bell suited to his favorite sound. So you get Rot Lop Fan, the F-Sharp Bell! Yeah yeah, I know. Hal Jordan never really lived up to his potential, was always knocked out by bricks or something yellow, and had a personality as exciting as drying paint. But he was the Green Lantern of my youth, and it's hard to replace that. Hal was honest, fearless, and someone that all little kids should look up to. I'm glad he's getting more developed now. 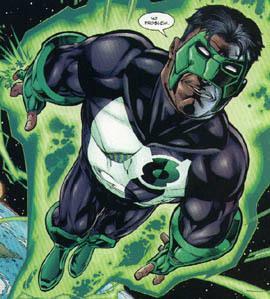 Yes, Hal Jordan was the Green Lantern of my youth, but he didn't compare to Kyle Rayner, who just beats him out on pure potential. As an artist, Kyle's constructs were much more imaginative than Hal's, and Kyle was just plainly more fun to read. Nope, I thought about it and thought about it and thought about it, and no one is cooler. Sorry. Alan Scott is the elder spokesman of the DC Universe. He's also one of the most respected. There's a scene in James Robinson's STARMAN where Batman is disrespecting the Golden Age legend, and Jack Knight steps up and tells Batman to back off — that he can talk to Jack however he wants, but he can't even touch what Alan has done. That seals it for me. Wait, what? Alan's not even an official member of the Corps? Geez, even in a list devoted to the Green Lantern Corps, I find a way to screw them. Maybe I do hate them. A good twist would've been Sinestro (if a bit predictable). The GL Corps does have some weird members though. I have no problem with the exclusion of Guy, I find him a bit 1D. 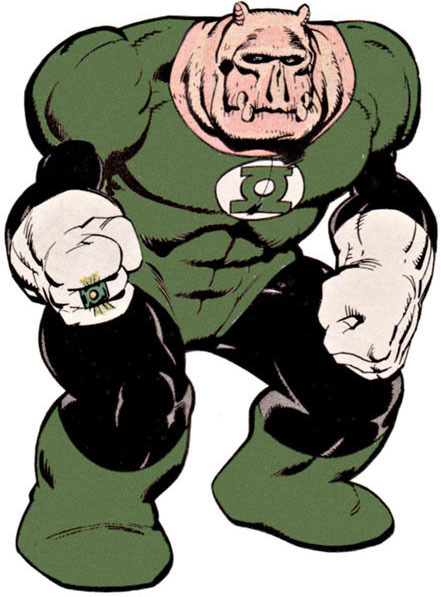 I do like Salaak though, he is a good foil of order to the chaos of the Earth lanterns. Of the very new GLs, I happen to also like the combo of Vath Sarn and Isamot Kol. The Lost Lanterns are a bit trying, but thankfully most of them are dead now (please? ), although Hannu is fun. 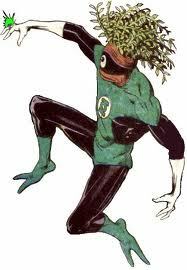 Technically Ganthet is a GL now, but he's more known for other things. And how could we forget Abin Sur, without him, your list would just have Alan Scott, who they've decided is somehow connected to the Rings, in someway. Anyway, I enjoyed the list, but I agree, I just want some space adventures. I think the Alan Scott explanation is that the ring he has came from a Lantern from really really really long ago. I don't really care how they're connected; it's enough that they somehow are. I really actually hate Guy Gardner. Absolutely can't stand him. Guy is the best hes like a bull with supsr powers. Makes me laugh when he fist fights instead of using the ring.